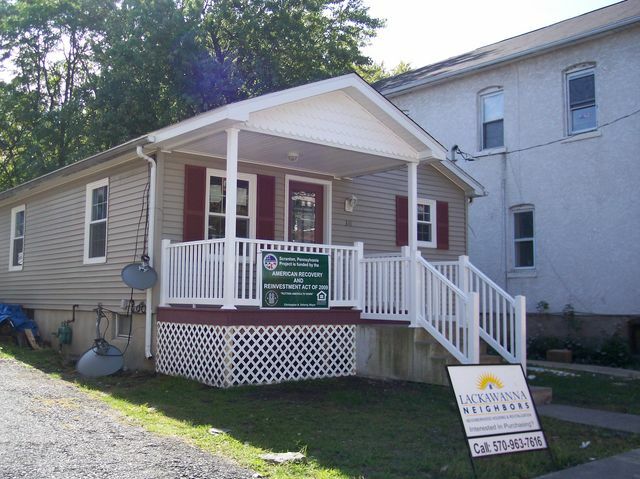 SOLD – $89,000 Newly renovated 3 bedroom, 1 1/2 bath home in quiet Hyde Park Section of West Scranton. The home has many improvements including a new 2-zone gas hot water baseboard heating system and gas hot water heater, pex plumbing system, updated electrical service and new lighting fixtures, some new interior and exterior doors, new flooring throughout, new roof and a large wood deck and nice yard. The first level has an open floor plan with living room, dining room and kitchen with a center island, new countertops and recessed and pendant lighting and a patio door to the deck plus a new powder room. The second level has three bedrooms and a new full bath. Laundry hookups are in the basement. Homebuyers must be income-eligible to purchase this home. Down payment and closing cost assistance is available through the City of Scranton’s Office of Economic and Community Development (OECD). To obtain an application for assistance, please phone OECD at 570.348.4216. For further information or to arrange a viewing, please phone Wayne Evans Realty at 570.906.8600. SOLD – $75,000 – Newly renovated 3-bedroom, 1-1/2 bath ranch home located on a fenced corner lot in a quiet West Scranton neighborhood. Improvements include a new 3-zone gas hot water baseboard heating system, pex plumbing, 200-amp electrical service and lighting fixtures, new roof, gutters with leaf guards, vinyl siding, Low-E windows, new interior and exterior doors, patio door to a new composite deck and new flooring throughout. The first level has a large living room/dining room, a new maple kitchen, a master bedroom with an attached powder room, two additional bedrooms and a full bath. The large lower level has been finished with new insulated walls and ceilings with recessed lighting, wall-to-wall carpeting and a utility room with laundry hookups. Homebuyers must be income-eligible to purchase this home. 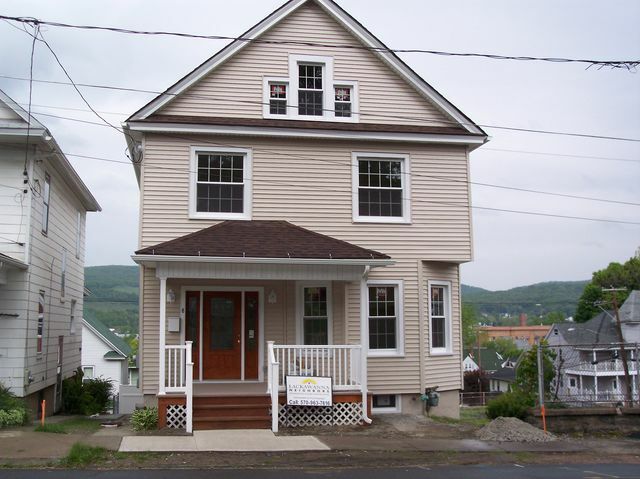 Homebuyer and closing cost assistance is available through the city of Scranton’s Office of Economic and Community Development (OECD) (570.348.4216). For further information or to arrange a viewing please phone Robert Vanston, Bershire-Hathaway Home Services, at 570.585.1500. This project was funded by the City of Scranton’s Office of Economic and Community Development’s HOME Program. 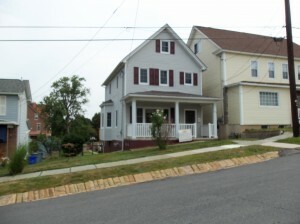 SOLD – $82,000 – This newly rehabilitated 3-bedroom, 1-1/2 bath home is located in a quiet neighborhood in South Scranton. The home has many improvements including 2-zone gas hot water baseboard heating system, pex plumbing system, 200-amp electrical service and new lighting fixtures, Low-E windows, insulation, new interior & exterior doors, new walls, ceilings and flooring, new roof, vinyl columns and porch railings, a new pressure-treated wood deck and large fenced back yard. The first level has an open floor plan with a living room, dining room open to a new kitchen with a center island, new countertops, recessed and pendant lighting and a patio door to the deck plus a powder room. The second level has wall-to-wall carpeting, three bedrooms and a new full bath. Laundry hook-ups are in the basement. 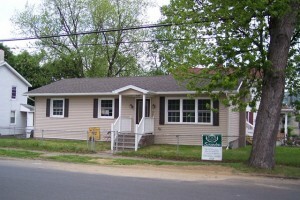 Homebuyers must be income-eligible to purchase this home. Down payment and closing cost assistance is available through the city of Scranton’s Office of Economic and Community Development (OECD). To obtain an application for assistance, please phone OECD at 570.348.4216. For further information or to arrange a viewing, please phone Wayne Evans Realty at 570.906.9106. 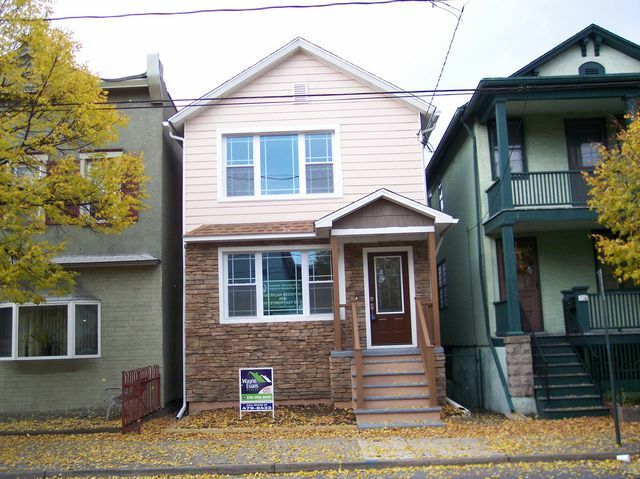 SOLD – $109,900 This large 3 bedroom home has recently been rehabilitated using “green” building materials and no VOC paints. Improvements include new siding, roofing, gutters, front and rear porches with new steps, vinyl fenced-in back yard, new Low-E Argon windows, high energy efficient gas hot water heating system and on-demand hot water heater, 200-amp electrical system, and Icylene foam insulation. The first level has a large living/dining room and kitchen with dark bamboo floors, new designer lighting, tile laundry room with Energy Star washer and dryer and powder room. The kitchen has a center island, a stainless steel dishwasher, side-by-side refrigerator, ceramic top range with over-the-range microwave oven and glass tile backsplash. A new staircase leads to the second floor which is fully carpeted with eco-friendly Frieze carpeting made from recycled materials and has a large master bedroom with a large closet and patio doors to a private second floor covered and carpeted porch, two additional bedrooms with large closets and a new full bath with tile flooring. The third level is fully carpeted and has two bonus rooms with closets and a new powder room with tile flooring. This home was acquired and rehabilitated with Neighborhood Stabilization Program (NSP) funding and must be sold to individuals and/or families that earn up to 120% county median income. 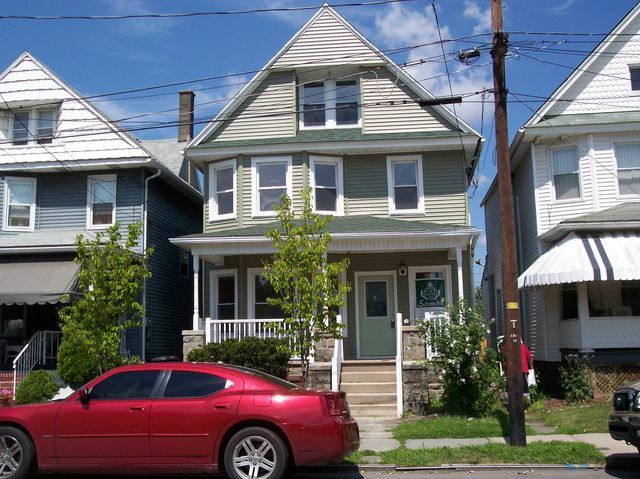 Down payment and closing cost assistance is available through Scranton’s OECD. Homebuyers must be income-eligible according to NSP income guidelines and must complete Homebuyer Counseling provided free of charge by Neighborhood Housing Services (NHS). For financial assistance, please call OECD at 570.348.4218 and for homebuyer counseling, please call NHS at 570.558.2490. To view this property please contact Wayne Evans Realty at 570.909.8600. SALE PENDING – $107,500 This 3-bedroom home has been completely rehabilitated with eco-friendly and energy building materials and systems including a new 30 year architectural roof, high energy efficient gas hot water baseboard heating system, tankless on-damand hot water heater, 200-amp electrical system, new Low-E windows, vinyl siding, gutters, Icylene foam insulation, designer lighting, interior and exterior doors, new walls and ceilings, bamboo floors in living and dining room, tile in the kitchen, full bath and powder room. The first floor has a huge living room, a large dining room, powder room and kitchen with center island, maple cabinets and new energy star stainless steel refrigerator, dishwasher, over-the-range microwave oven, glass top electric stove and new washer and dryer. A patio door leads to a new rear deck and fenced yard. The second floor is carpeted with Freeze carpeting and has a large master bedroom with large walk-in closet and two other nice size bedrooms with abundant closets and a new full bath. Homebuyers must be income-eligible under the NSP program guidelines (family income can be up to 120% county median income) and must complete Homebuyer Counseling Workshops provided free by Neighborhood Housing Services. To schedule classses, please contact NHS at 570.558.2490. Financial assistance for up to $12,000 for down payment and closing costs is available through the City of Scranton’s Office of Economic and Community Development. For an application, please contact Liza Carroll, Director of Housing, at 570.343.4218. To view the home, please contact Wayne Evans Realty at 570.909.8600 or 570.479.0433. For further information, please contact Lackawanna Neighbors, Inc. at 570.963.7616. SOLD – $95,000 This 4-bedroom home has been completely rehabilitated with new siding, front porch, gutters, deck, new high energy efficient gas hot water heating system, gas hot water heater, 200-amp electrical service, new Low-E Argon windows, new designer lighting fixtures, interior and exterior doors, full insulation, new vinyl flooring in the kitchen, baths and laundry room and wall-to-carpeting throughout, new kitchen with new cabinets and a peninsula island, first floor laundray and first floor bath with enclosed shower. This home also has a large living room and dining room, a foyer/den with gas remote control fireplace, a new staircase, a large master bedroom and three other bedrooms – all with large closets, and a new second floor bath. There is a large yard and extra wide driveway for off-street parking. Homebuyers must be income eligible and financial assistance may be available through Lackawanna County’s First Time Homebuyers Program administered by NHS of Lackawanna County. For further information, please contact Lackawanna Neighbors at 570.963.7616 of Janine Christian of Deecke Real Estate at 570.282.4116. SOLD -$102,500 This home has been completely rehabilitated with eco-friendly and energy efficient building materials and systems including a new architectural roof, fiber board siding, high energy efficient gas hot water baseboard heating system, tankless water heater, 200-amp electrical system, new designer lighting fixtures throughout, Icylene foam insulaton, Low-E Argon windows throughout, new interior and exterior doors, walls and ceilings all finished with no VOC paints. The first floor has a large living/dining room with carbonzied, horizontal bamboo floors, powder room with water saver fixtures, kitchen with center island and breakfast bar and Energy Saver Stainless Steel glass top ceramic range, side by side refrigerator, dishwasher and over-the-range microwave oven, recycled glass tile backsplash, a laundry area with new washer and dryer, second staircase to the second floor, French doors leading to a composite decking system and large, fenced back yard with off street parking. The second floor, both staircases and three bedrooms are carpeted with recycled Frieze wall-to-wall carpeting, large closets and a new full bath with water saver fixtures. The lower level walls are finished and suitable for a bonus room with lots of storage space. Homebuyers must be income-eligible under the NSP program guidelines of up to 120% county median income and must complete Homebuyer Counseling Workshops provided free by Neighborhood Housing Services. To schedule classes, please contact NHS at 570.558.2490. Financial assistance for up to $12,000 for down payment and closing costs is available through the City of Scranton’s OECD. For an application, please contact Liza Carroll. Director of Housing, at 570.343.4218. To view the home, please contact Wayne Evans Realty at 570.479.0433. For further information, please contact Lackawanna Neighbors, Inc. at 570.963.7616. SOLD – $104,900 – This home is one of the first homes acquired and rehabilitated with Neighborhood Stabilization Program (NSP) funding. 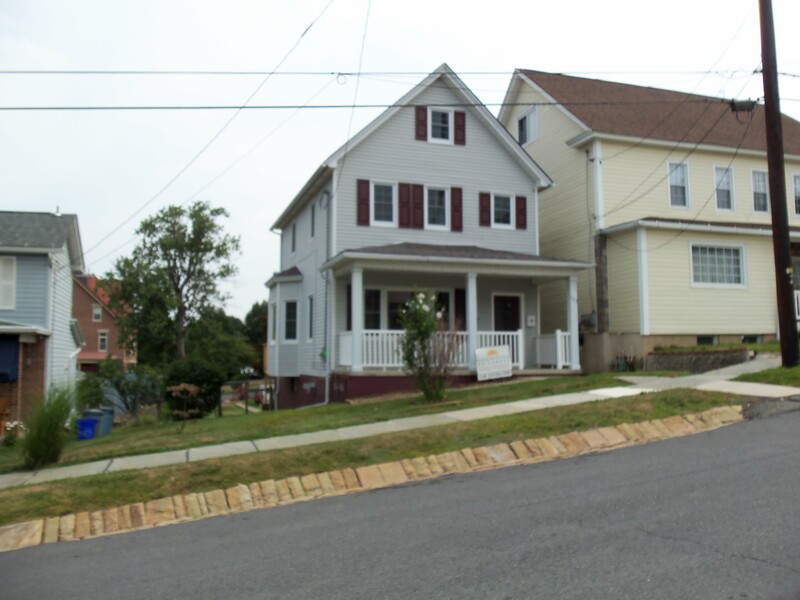 Financial assistance is available to income eligible individuals and families through the City of Scranton’s Office of Economic and Community Development (OECD) for up to $12,000 toward down payment and closing cost assistance if you purchase this home. This 12 year old home has been updated with Low-E Argon windows, new interior and exterior doors, bamboo flooring in the living room, tile flooring in the kitchen, main bathroom and lower level powder room. The first level has a nice living room, kitchen with peninsula island and stainless steel refrigerator, electric glass top range, over the range microwave oven and dishwasher, dining area, 3 bedrooms and a new full bath. A new patio door leads to a nice side deck which accesses the large rear yard. The lower level has been finished with a large carpeted family room and powder room and laundry which includes a new washer and dryer. 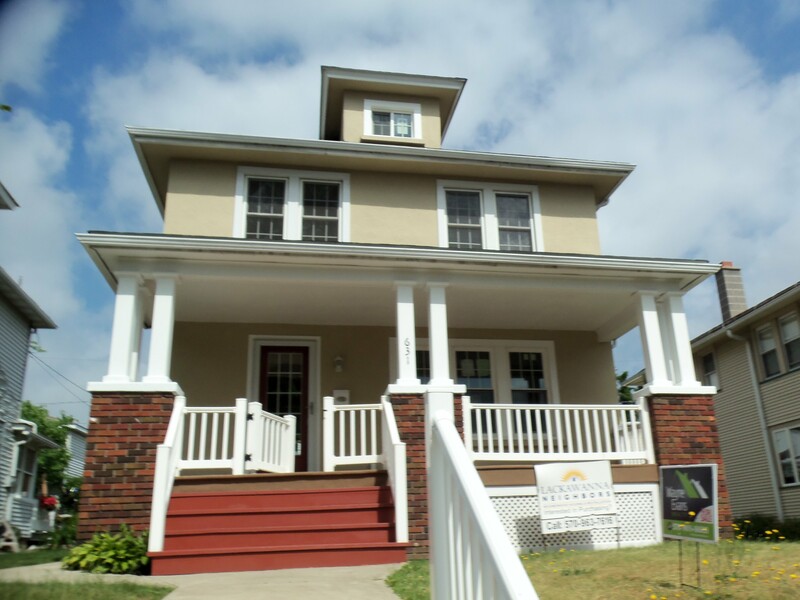 Rehabilitation work consisted of new energy efficient gas hot water baseboard heating, tankless hot water heating and new plumbing, 200- amp electrical service, and a new front porch. All building materials and finishes used to rehabilitate this home are eco-friendly and energy efficient. To make an appointment to view this home, please contact Wayne Evans Realty at 570.479.0433. To apply for the OECD Homebuyers Program, please contact Liza Carroll at 570.348.4218. For further information, please contact Lackawanna Neighbors at 570.963.7616. SOLD – $91,500 – This newly rehabilitated home has a lovely first level with laminate flooring in the living and dining room and tile in the foyer, new kitchen with a center island, laundry room and new powder room. The second level has 3 bedrooms with large closets, a new full bathroom and wall-to-wall carpeting. The third level has two bonus rooms with laminate flooring. The home has new vinyl siding, new vinyl railings and roof on the front porch, new rear steps to a small enclosed back yard, full insulation, new 2-zone gas hot water baseboard heating, new plumbing, updated 200-amp electrical service and new lighting fixtures. Homebuyers must meet family-income guidelines and financial assistance may be available through the city of Scranton’s Homebuyer Program. For further information contact Lackawanna Neighbors, Inc. at 570.963.7616. For an appointment to view this home please contact Wayne Evans Realty at 570.906.8600. For possible financial assistance, please contact Liza Skelton, Director of Housing, City of Scranton’s Office of Economic and Community Development at 570.348.4218. $93,000 – SOLD- This lovely 3-bedroom home in a nice neighborhood has been completely renovated with new roofing, vinyl siding, Low-E Argon windows, interior and exterior doors, new rear retaining wall and vinyl fencing, new 2-zone gas hot water baseboard heating system, new plumbing, new 200-amp electrical service and new designer lighting fixtures and is fully insulated. The first level has an open foyer with a new staircase, a large living room and dining room with French doors opening to a new deck and steps to the back yard, a powder room and a new kitchen with maple cabinets, a center island and large storage closet. 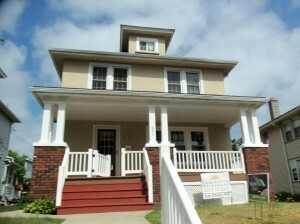 The second floor has a large master bedroom, new full bath, 2 additional bedrooms and a walk-up to the third floor. Homebuyers must meet income eligibility guidelines and attend homebuyer workshops. For further information, please contact Lackawanna Neighbors, Inc.